Has Rep. Jim Thompson changed his views on marriage? 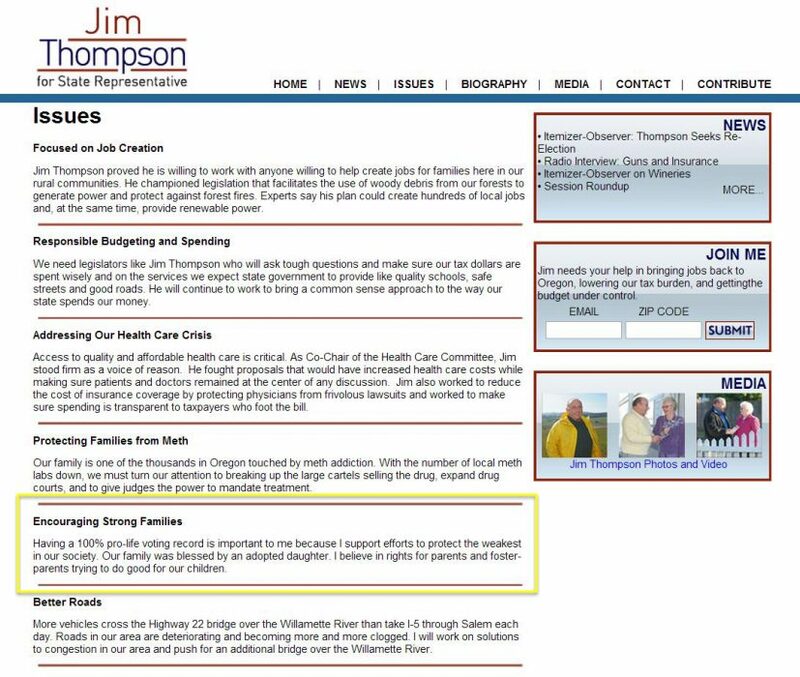 State Rep. Jim Thompson (R-Dallas) was listed as one of the leadership team of Freedom Oregon. 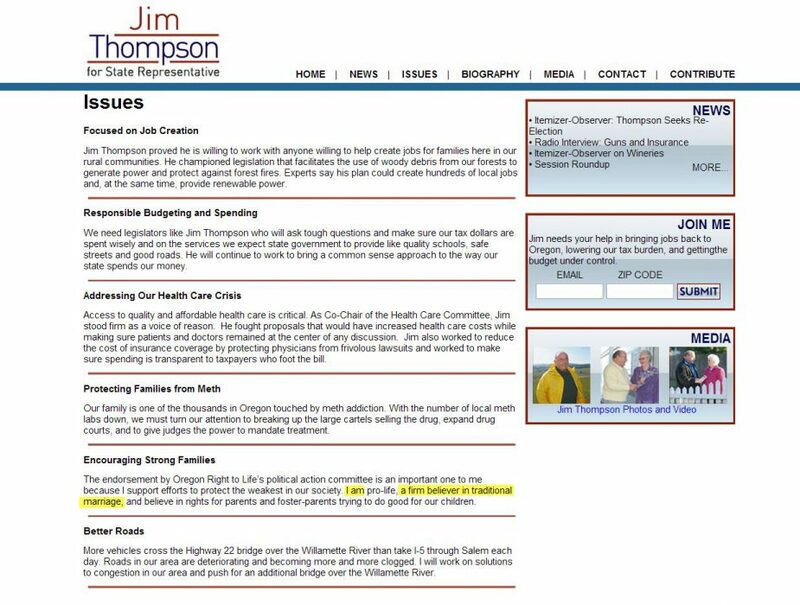 That’s a change for Rep. Thompson. 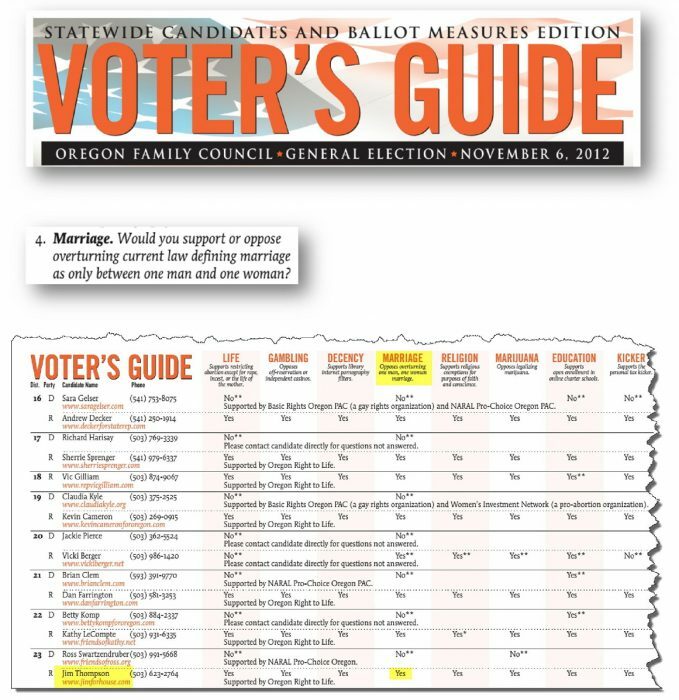 In the 2012 Oregon Family Council Voter’s Guide, Rep. Thompson stated that he opposed overturning the current definition of marriage in the Oregon Constitution as being between one man and one woman. 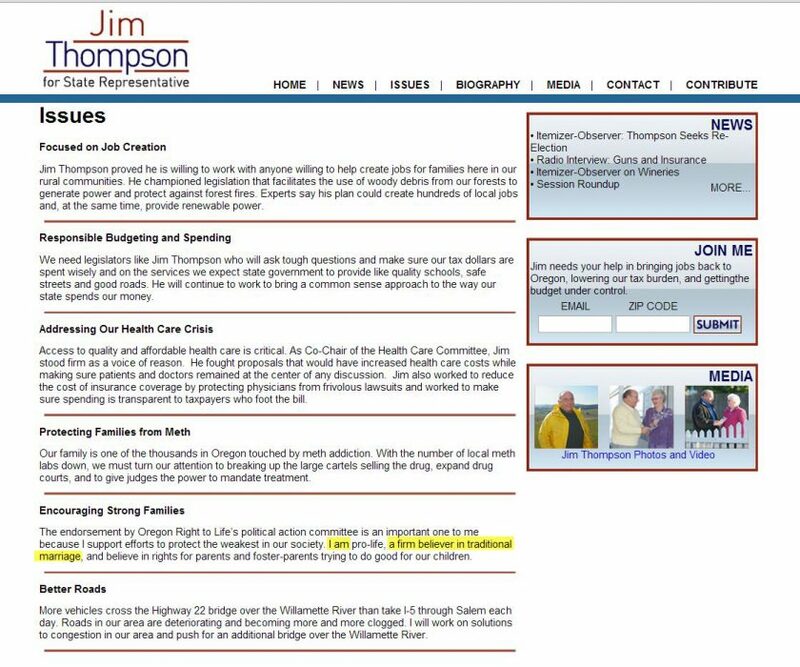 UPDATE: Sometime between 3-13-2014 and 3-17-2014, Rep. Thompson changed the Issues page on his web site to drop the support of traditional marriage (it had said “I am pro-life, a firm believer in traditional marriage”).